I planted Brussels sprouts in my raised bed garden this year and waited patiently all summer for them to grow. 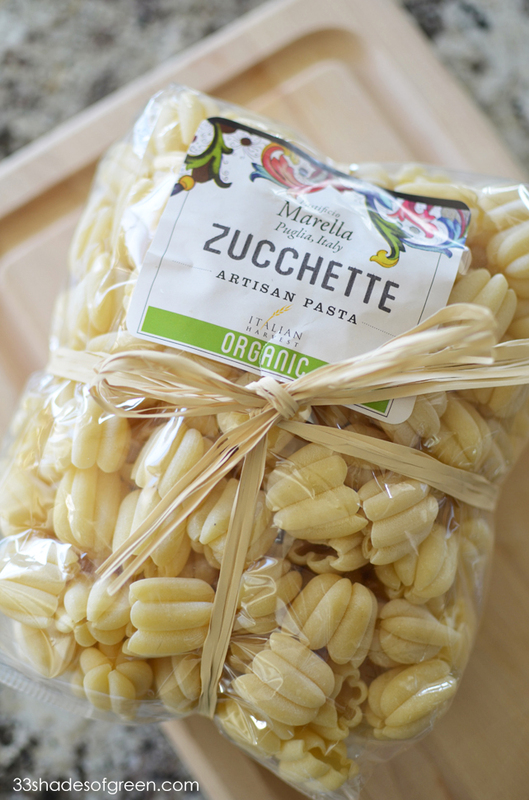 Last weekend I was able to pick a whole bunch of them to use in this delicious pasta dish. They were fantastic! 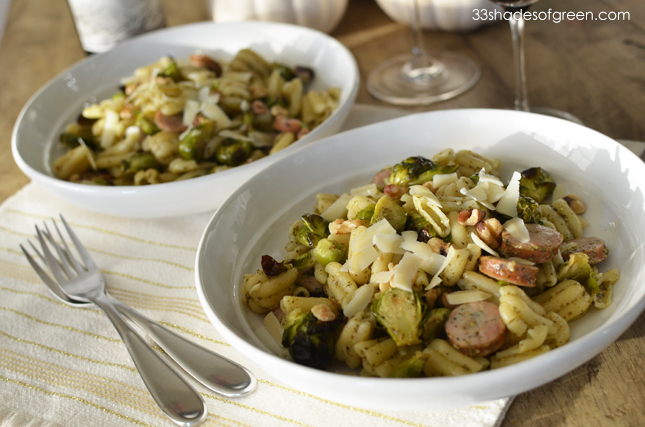 I loved this pasta and it was the perfect way to enjoy my homegrown Brussels sprouts. Isn't the shape of this pasta delicious? 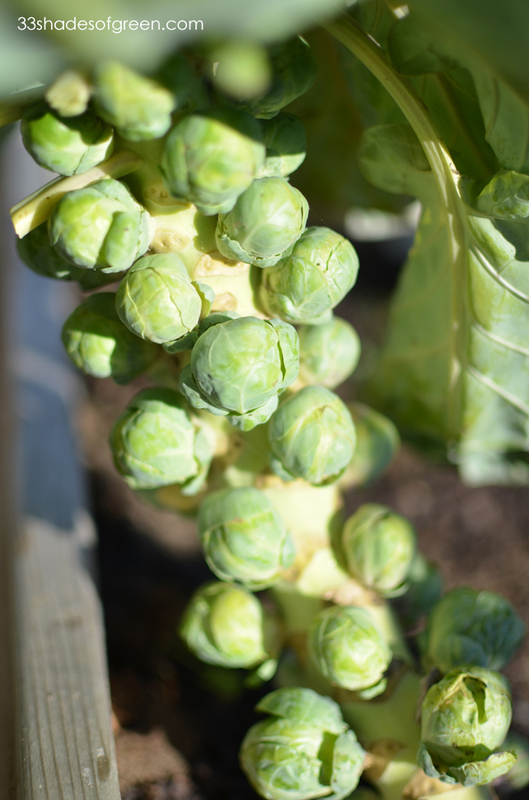 Here are the Brussels sprouts growing in the garden. Isn't it cool how they grow on a long stalk? Lots of time at the market, I see the whole stalk for sale, but I only picked the largest sprouts at the bottom, and hopefully the smaller ones near the top will keep growing. 1. Preheat oven to 400 degrees. 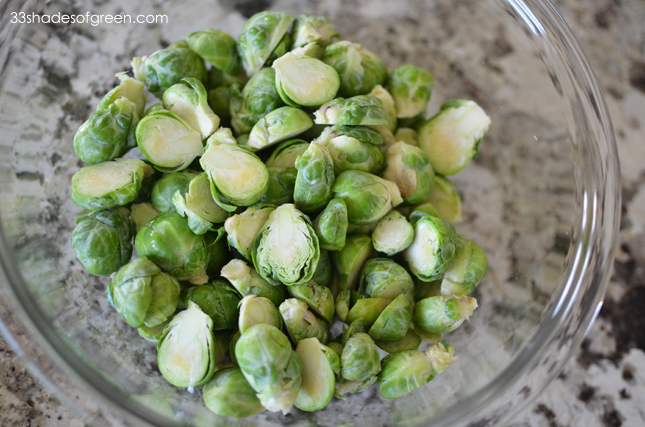 In a large bowl, mix together Brussels sprouts, 2 tablespoons of olive oil, 1/2 teaspoon each of salt and pepper. Place on a baking sheet lined with foil or a silpat mat in a single layer. Roast for 10-20 minutes. 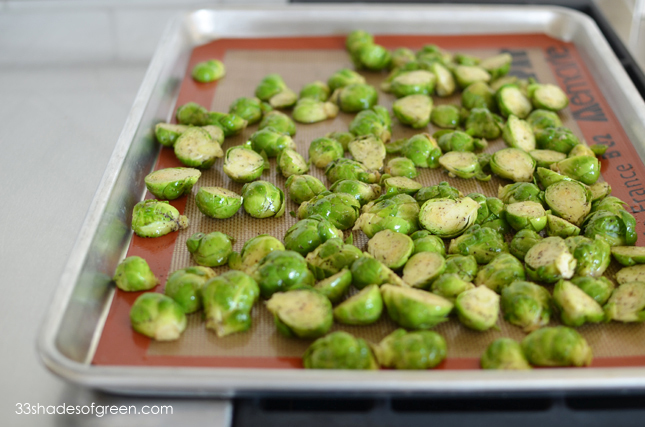 Roasting time will depend on the size of your Brussels sprouts. Stir halfway through cooking. 2. 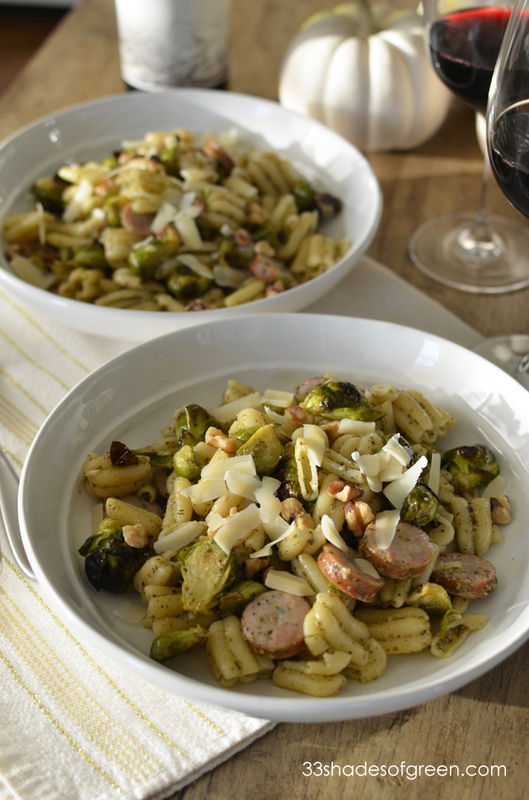 While Brussels sprouts are in the oven, cook pasta according to package directions. Drain and set aside reserving 1/2 cup of pasta water. 3. Meanwhile, in a large skillet, heat 2 tablespoons of olive oil over medium low heat. Add garlic and cook for a minute or until fragrant. 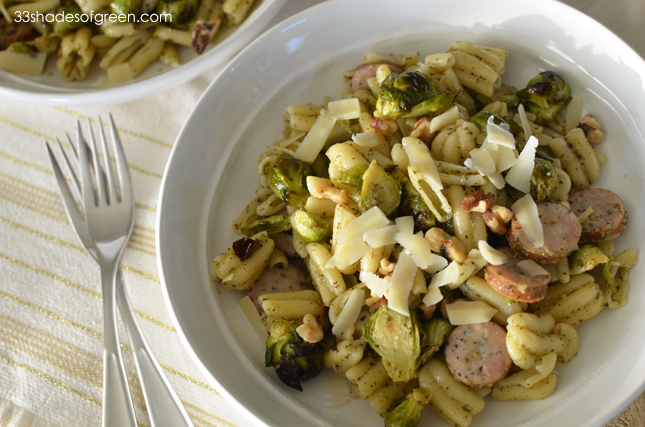 Add pasta, Brussels sprouts, sausage, and pesto to skillet. Stir and cook over low heat until sausage is heated through. 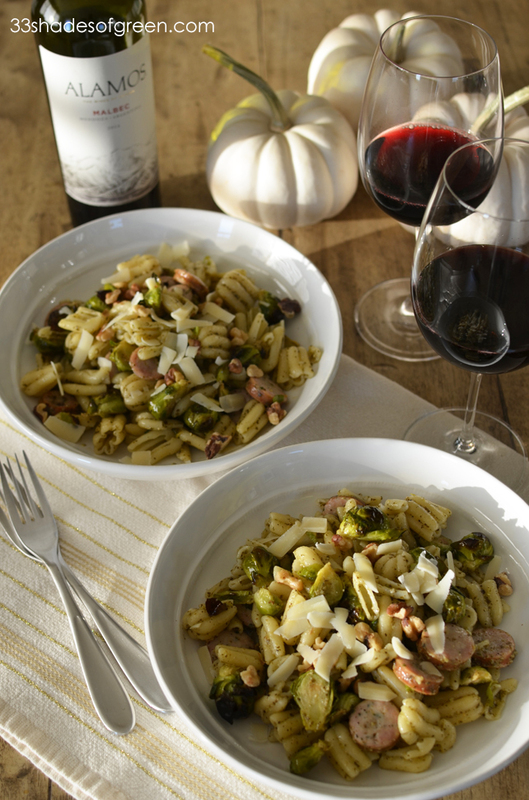 If mixture seems dry, add reserved pasta water until desired consistency. 4. 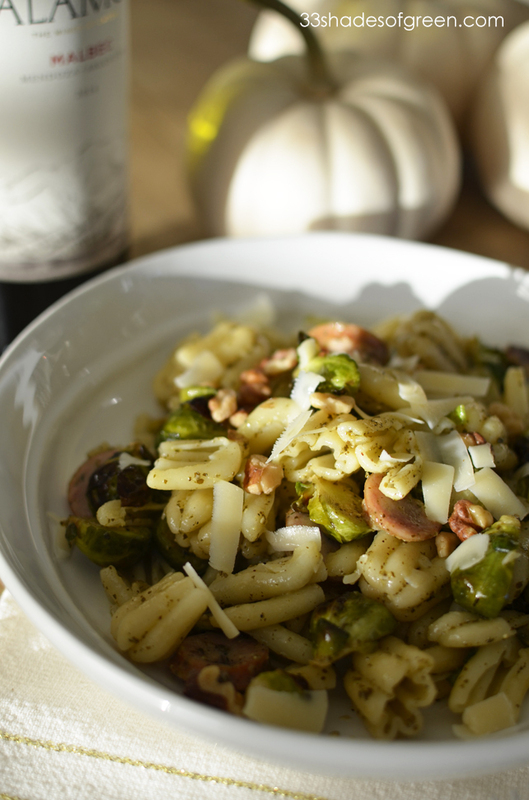 Serve immediately and top with shredded Parmesan, if desired. 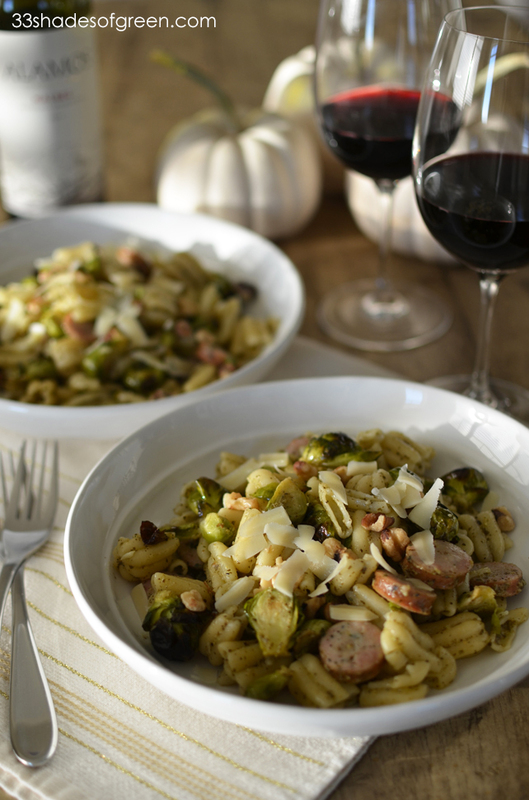 If you like Brussels sprouts, I think you will love this dish - It was the perfect Fall meal. I'm off to the garden to check on the rest of my Brussels sprouts. I can't wait to use more in another recipe!